How your characters speak reveals a lot about them and the world they live in. Although many authors shy away from having their characters us e swear or curse words, the use of those very same words in conversations among the general public seems to be increasing. Before you go turning every other word into something nasty, however, you many want to consider that these finding rely on self -reported data. It is possible, although admittedly unlikely, that the participants have become more sensitive to hearing swear words because they are not part of everyday conversations and the participants were told to count every time they heard a curse word. 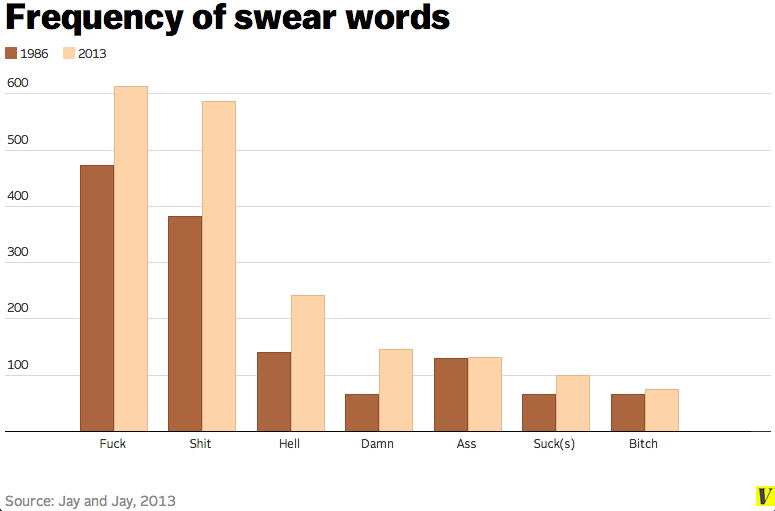 If that is the case then swear words are not becoming more popular. The best advice is to use swear words where and when they feel appropriate and natural for a character rather than jet tossing them in gratuitously. That way, even if swear words are becoming shocking in public, readers are less likely to lash out at you or your characters for being “vulgar”. Kristin Jay, a psychologist at Marist College who’s collected data on public swearing says that, on the whole, it seems to be getting somewhat more common. Recently, she and her husband Timothy Jay asked a group of American adults to rigorously record every time they heard a swear word in public for an entire year. When they compared their data to a similar study conducted in 1986, they found that the frequency of most words had increased over time.